← Tuition Tips – When they look at the work and don’t understand what is going on! 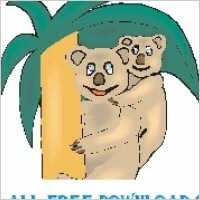 One day a pretty koala climbed out of her eucalyptus tree, chewed some leaves and had a baby koala. She named her baby Alexandra and together they went on a walk to visit their friend Jemima the possum and found her in the tree house having tea. Alexandra and her mum were about to go home but the house was on fire and so they waited. Three minutes later Jemima found a new house near a lovely waterfall, squeezed inside and they all had leaves for lunch. One day Jemima and Alexandra and her mum played.